Time to get up close and personal to some amazing animals. 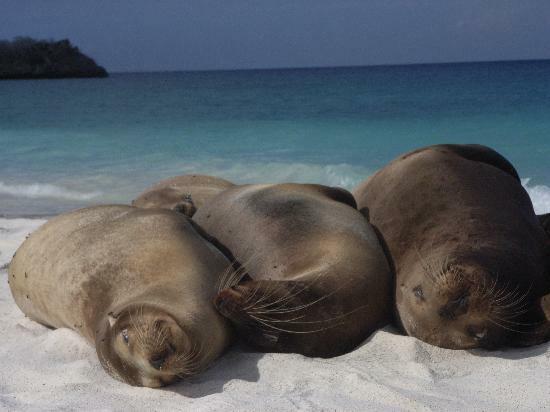 This is a Five Night, Six day tour visiting two of the Galapagos Islands, Santa Cruz and Isabela Islands. Our first stop is Santa Cruz Island and it's main town Puerto Ayora which is located on the southern end of Isla Santa Cruz. It is the largest and most visited place in the Galapagos Islands. Puerto Ayora is a bustling port town full of charm and it is also the headquarters to the world-renowned Charles Darwin Research Station. Isabela Island is the largest and the least populated of the archipelago islands and is more than 9/10 National Park. You will stay in the town of Puerto Villamil where you can explore it's three miles of White Sandy Deserted Beaches and the largest Giant Tortoise Breeding Center in Galapagos. Isabela Island is also unique because it grew not from one volcanic eruption, but by the integration of six separate underwater volcanoes, five of which are still active. It is the largest land mass in the island system, accounting for 60% of the total land area. Miles of beaches to yourself! Share a bench with a Sea Lion!! Swim with a Giant Sea Tortoise! 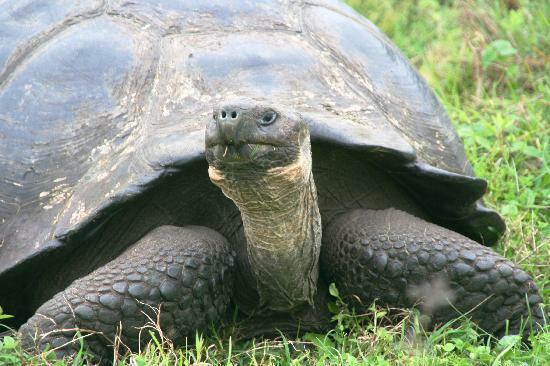 See the Galapagos turtles in the wild! Sierra Negra and Volcan Chico. Sunday Night Stay at Hotel near the airport included in the price. Day 1: Leave Quito. This day will be quite the travel day. 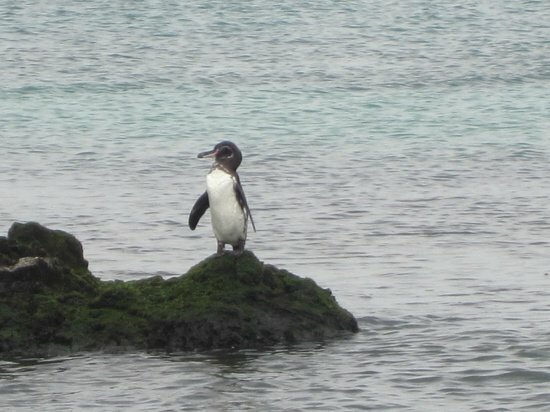 The Galapagos is not easy to get too, but worth every step of the way. We fly from Quito to Baltra Island Airport in the Galapagos. On arrival you will pay $100 Park Entrance Fee (cash only.) We will then take a 10 minute bus ride to a ferry which takes 5 minutes to cross to Santa Cruz Island. From here we will begin the 40 minute taxi ride to Puerto Ayora with a few stops along the way. Los Gemelos (the twins) on Santa Cruz Island are two large craters that were once underground magma chambers. When the magma chambers caved in they left two huge beautiful craters filled with different types of bird and plant-life. After visiting the craters, we will head up the road to the amazing underground lava tubes that extend for several kilometers. The tubes formed when the cooler outer parts of lava flow hardened into thick walls which provided protection while the hot flow continued inside. When the flow subsided it left behind long empty tunnels that you now get to explore. In the afternoon you will take a two hour boat ride to Isabela Island. Settle into The Drake Inn. Day 3: Trekking Day! We will hike up the Sierra Negra Volcano, the second largest volcanic crater in the world. This is a long hike of about 11 miles round trip but you are rewarded with amazing views at the top. The volcano is believed to be about 535,000 years old, and probably the oldest of Isabela’s volcanoes. From Sierra Negra, you can travel on about an hour more to reach Volcán Chico which is a fissure of parasitic cones composed of slag and lava. It feels like another planet! Price $45 with lunch included. Day 4: We will take a trip to the #1 visited site for snorkeling, Los Tuneles. You will snorkel in Crystal clear waters brimming with Marine Life around Volcanic Tunnels. 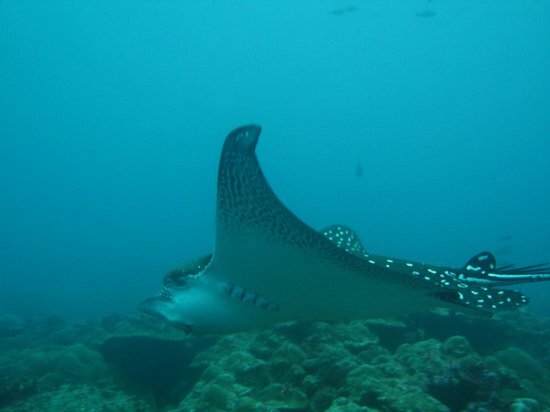 You will swim near lava caves where we will see Penguins, reef sharks, rays, giant sea turtles, sea horses, blue footed boobies and sea lions. Lunch is provided on the trip. Price $90 per person with lunch included. Day 6 : Return to Quito the same way we got there! Six nights hotel including Quito, Double Occupancy with breakfast, all ground and sea transportation, Guide beginning from Quito, Port Taxes and Fees. 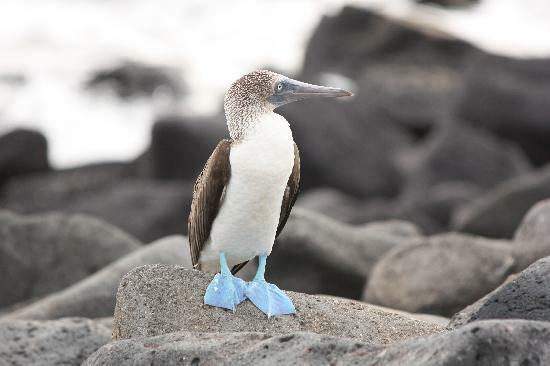 $100 Entrance Fee to the Galapagos Islands to be paid in Cash on arrival in the Galapagos. Meals: Breakfast is included. Most meals in town cost between $8 and $12. Prices of Activities on the Island are listed above. $200 per person if you do them all.